Was out wheeling today and when i hopped back down into a wash the hardline for my rf brake sheared in half. Got a buddy to take me back out to a parts store and bought 2 new lines. Everything bled fine and away we went climbing some steep stuff. Back on the dirt road coming out, the exact same thing happens. The 3rd line worked to get me home but clearly there is a bigger issue. Any ideas? A picture or two might help, but sounds like there's some interference somewhere with the brake line, like maybe your suspension? Is it aftermarket or stock? But were you pushing it harder than ever before when they were breaking? You might need some extended brake lines, or make sure they aren't sticking out too far. No, was actually a lot easier than I typically am. It is not the rubber line it is the actual steel brake hardline that goes from the caliper to the spindle. I don't think there is anyway to extend that distance?? Am I missing something? That's not something I hear about breaking all that often, let alone twice in a short period. Need to see what's changed with your suspension, or something nearby) to cause that in the first place. 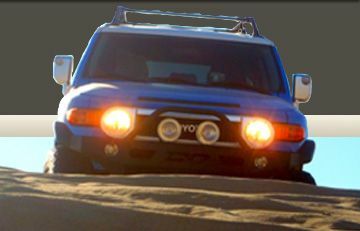 Maybe get the FJ up on jack stands to let the suspension fully extent then use a jack to cycle through the range of motion, see what could be happening. How the hell did you.manage to break that? Dayum. At least it's fixed now.